Bring some fun into the classroom as you celebrate Kwanzaa with this printable holiday activity. Students will be asked to color the shapes with words which have a long u sound black, color the shapes which have a long a sound green, and color the shapes which have a long o sound red. Students can color the other shapes any other color they like. 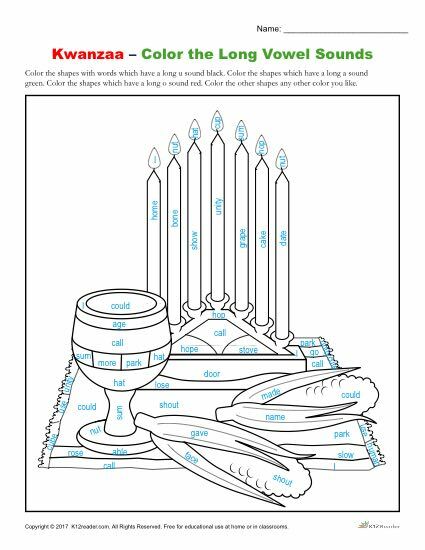 This Kwanzaa worksheet on vowels is ideal for K – 2nd grade students, but can be used where appropriate. Easily download and print to use in class or at home!